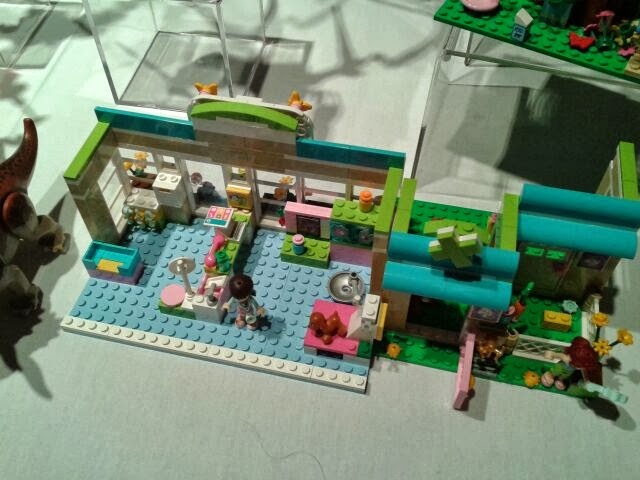 LEGO has made the biggest investment – with its Lego Friends line. These are the same building blocks that kids have always enjoyed but now they are made in colors attractive to girls with building set themes like a pool, vet office, bakery, cruise ship, high school and more. Legos are definitely not just for boys anymore. If you will be buying a gift for a girl in the 6-12 age bracket this holiday season, I suggest you check these out – even if they are not on their list. 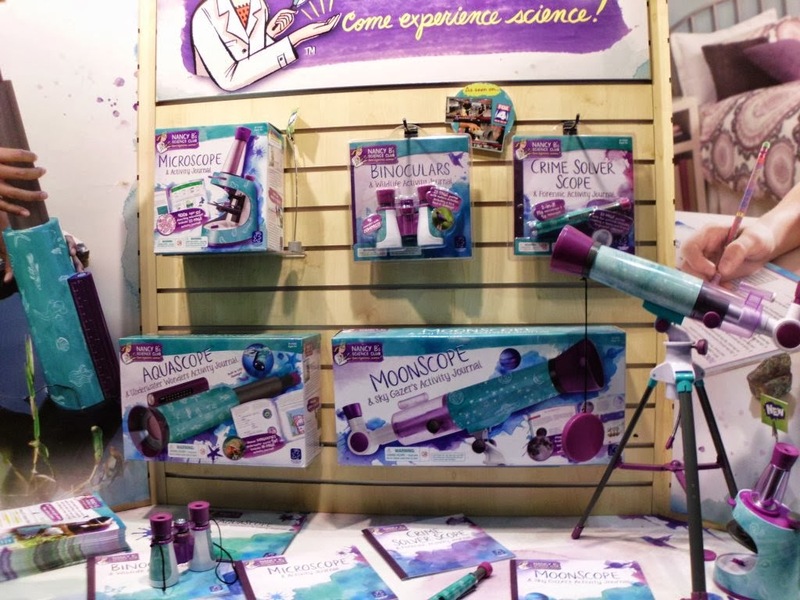 There are science kits and then there are eye catching science kits that will appeal to girls. 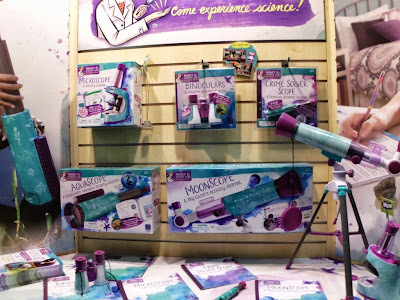 This line of Nancy B Science Club kits from Educational Insights have eye appeal and provide an opportunity to develop interests that will be a stepping stone to a successful career. This line of science kits was developed by Nancy Balter, science teacher and mother of two. A small startup company, GoldieBlox, was founded by a female engineer who wants to “disrupt the pink aisle” as she says. Her company is off to a quick start and you can buy her Goldie Blox building sets at her website or at Amazon. Unfortunately, based on the reviews at Amazon I would say there is still some quality issues to be resolved. I think the founder who is a graduate engineer from Stanford is committed to her product concept and is probably hard at work at improving GoldieBolx as we speak. I plan to keep an eye on them. Findings in a new study report that grandparents today are very hands-on and like to get involved with play and projects with their grandchildren. When our grown children were young some of our favorite activities to do together were building with LEGOs and conducting science experiments. These are wonderful relationship building activities you can do with your grandchildren and I highly recommend them. These toys can provide a platform for working together - not just something that you give them. I have not received any samples of these items and these are just my honest opinions. I saw these items - out of the box - at Toy Fair and Time to Play Showcase both held in NY. I took the pictures above at these events - they are not stock advertizing shots. At these shows there are literally thousands of new toys to see and representatives to explain how they work, their company philosophy, etc. I sift through all of this personally to identify toys that I think will appeal to and be understood by grandparents. I admire all the toys with apps and capabilities beyond my imagination but I seldom write about them. I mostly leave that stuff for parents to sort out. I strongly believe in that special something that we as grandparents have to offer and I try to write about toys that may be overlooked by a parent that will be enjoyed by our grandchild and sometimes may spark an interest that otherwise would be missed. Check out these items for your granddaughters......who know what spark you might ignite. What I didn't mention in the short video is that it comes with an app using Bluetooth Technology with FREE Twilight Tunes. You can choose from a pre-set library of melodies and sounds or combine sounds to create a custom mix. A melody and star projection can be programmed for up to 24 hours. See my original Highlights post here. The Twilight Turtles Tunes and other Cloudb items are available at Amazon. Cleck below to check it out.